Undoubtedly one of the coolest performers in the world, the island king Jimmy Buffett comes to Farm Bureau Live on Saturday 16th April for a night of easy-going music that's just as likely to have you rolling in the aisles as dancing to the tropical groove! With his loyal backing band The Coral Reefers, Jimmy will transport you to Margaritaville, so get ready for some sunshine, Parrotheads! 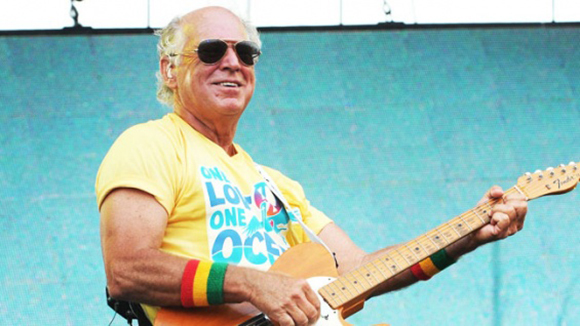 Jimmy Buffett has gained a huge, devoted following over the past four decades, and is known as one of the most beloved performers in America. His music, a curious mix of "island escapism", folk and country music, puts forward a humorous reflection on his life experiences and laid back vibe. It was described by the Washington Post as "tropical languor with country funkiness into what some [have] called the Key West sound, or Gulf-and-western." The Coral Reefer Band provide the brilliant backing for Buffet – their talented musicianship the perfect foil for his anecdotes and encouragement of audience participation. Whether you are a loyal "Parrothead" or a newcomer, his shows are unique, energetic, and filled with party hits – don't miss out!